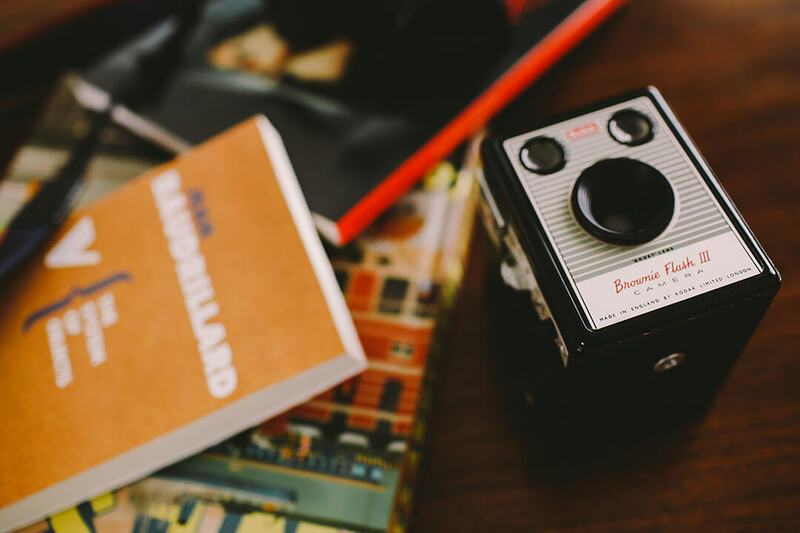 Whether you are just starting a blog or have been blogging for many years, your goal is to get more traffic and subscribers. Google Analytics is a robust and FREE tool. It helps you measure your success and reach more of an audience. This blog post will detail what Google Analytics can do for you. Additionally, it will show you how to add Google Analytics to your WordPress site. Armed with this knowledge, you can make data-driven decisions about how to make adjustments to your blog. For example, if a certain post is popular, add more detailed blog posts about this same topic in the future. You can also learn if a certain marketing campaign was successful (or not) if it drives a lot of traffic to your website. Finally, if many people visit your website at a specific time, this is the best time to publish new posts to your blog. If you do not already have one, the first step is to get a Google Analytics account. Visit the Google Analytics home page and click “Sign Up For Free.” Enter your Google username and password to login to your Google account. You will be redirected to the screen below. Click “Sign Up.” to begin with Google Analytics. On the next screen (shown below), enter the information for your website. Make sure “Website” is selected for the first question – “What do you want to track?” After entering your information, click “Get Tracking ID” at the bottom of the screen. And that’s it for setting up your Google Analytics account. You are now ready to move to the next step, and add Google Analytics to your WordPress website. With over 1 million active installs, the Google Analytics Dashboard WP Plugin is a simple and fast way to add Google Analytics to your WordPress site. The plugin allows you to view detailed data right from your WordPress Dashboard and requires no code to get Google Analytics up and running! You will be redirected to a new screen similar to the one shown below. Click “Get Access Code” to continue. Accept the terms and conditions, and you will see a screen with your access code. Copy and paste this access code into the text box labeled “Access Code.” Click “Save Access Code” and the plugin will now be synced with your Google Analytics account. 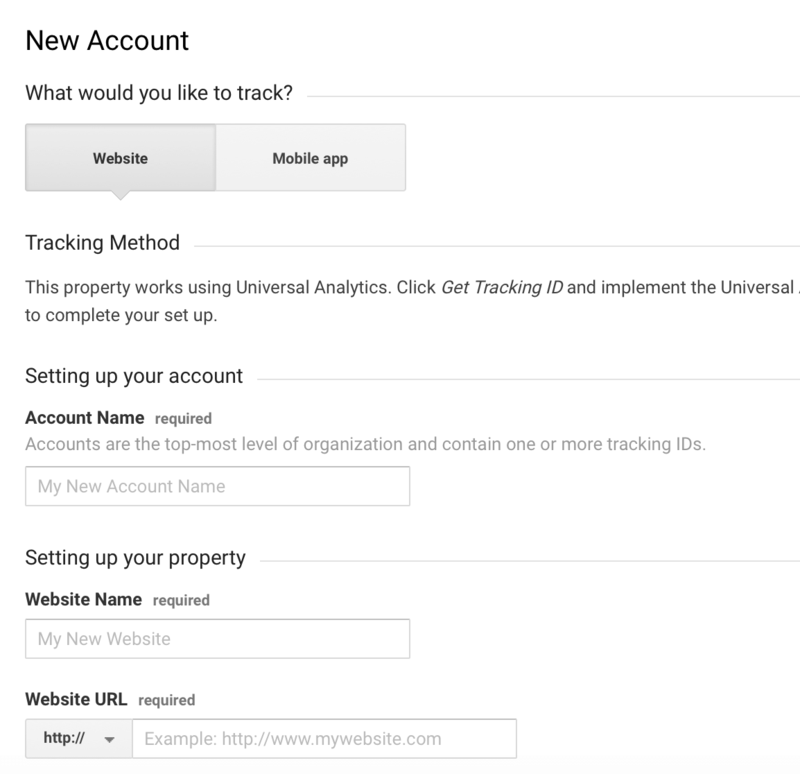 You should be able to match the Google Analytics Tracking ID listed within the plugin settings to the ID listed in your Google Analytics account. The Google Analytics Dashboard for WP Plugin provides extensive documentation, including a video tutorial on how to set up the plugin. For more help with the plugin settings and the video tutorial, visit the plugin page here. You are now ready to use Google Analytics and learn more about your visitors! Pix & Hue was founded to create WordPress themes that are easy to use and packed with features. Our blog is dedicated to providing high-quality WordPress tutorials to help you set up and run a successful website. 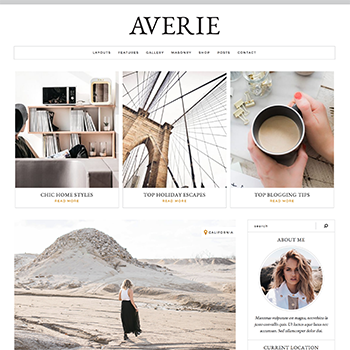 Subscribe for WordPress tutorials, exclusive offers, new releases, and the latest news about our feminine WordPress themes! © 2017 Pix & Hue All Rights Reserved.